The Merlin Digital Asset Management system gives you immediate access to all of your valuable assets no matter how large a digital collection you have. 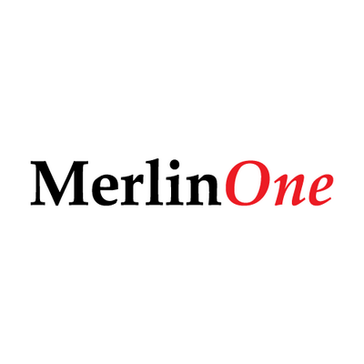 MerlinOne systems are working 7x24 helping customers store, retrieve and protect large collections with confidence that all of their digital assets are accessible and secure. "Great and trouble-free archiving system "
This is a good problem to have, but we have so much content in Merlin that people sometimes have to write very specific searches to be able to find exactly what they're looking for. Definitely take advantage of the customer service -- Mike and his team are great at checking in and can answer any questions you'd like. We've saved a ton of money on buying storage space and external drives over time, and we love the "upload it and forget it" nature of the service. "Great Product, Small Company "
Core functionality - specifically the search functionality. I love being able to integrate with a variety of systems, one being Google Vision Autotags. You are able to really drill down to exactly what you want to find and include a variety of different fields in the search palette. My greatest endorsement for the company is their willingness to listen to new ideas that they do indeed end up implementing late on down the road. I am very excited about the possibilities for the future. Often inconsistent communication due to a lack of ticketing system. Merlin recently purchased a solution but I can't speak to how well this will work to resolve issues as it's early days. There are also some issues because of how small the company is. My only other issue is deadlines, they are infrequently given and rarely met. The UI also leaves more to be desired but I also believe that's changing currently. Compare based on how your company will be utilizing your digital asset management solution. Centralized asset management system. We are no longer doomed to silo all of our assets throughout our organization, we can store, find, manage and share our assets throughout - most importantly we are able to view the usage rights related to assets that they would never have had access to before. We are able to cut down significantly on time spent finding assets and push that time towards creating great content. Our mission at the Fred Hutchinson Cancer Research Center is the elimination of cancer and related diseases as causes of human suffering and death. As a photographer and media producer I don’t actually get to do that. However, MerlinOne enables me to help researcher and doctors do that work. Fred Hutch didn’t have a digital asset management system when I started here three years ago. There wasn’t anybody in the organization who knew where more than a decade of archive media was, and there was no workflow for new material. Merlin solved both problems. Today, it’s practically effortless to locate, organized, collaborate, edit, output, and deliver material. What used to take hours or even days to accomplish, I can now do in moments, and THAT enables my team to help the people who are curing cancer. MerlinOne’s customer support is top notch. It started when I called their office three years ago. Their staff listened to my challenges, and they understood the unique problems medical non-profits deal with. I can’t imagine doing my job the way I do it now without Merlin. It was be amazing if the web editing tool provided a little more production capability. Templated cropping / outputting would be amazing! Describe your problems. Be realistic about your financial limits. Consider your need to have a scaleable solution. "MerlinOne fits our publishing business perfectly"
We have used MerlinOne as our digital asset management system for many years. We archive our articles, photographs and PDFs of our pages, and can easily retrieve what we need when it's needed. We also really like and recommend TRAX - their photo assignment database and how well it keeps all parties notified of an assignments progress. I would like to have more printer template options for printing archived articles. I can't think of a better asset management system and would urge anyone considering purchasing one to absolutely give MerlineOne a try. "Simple Program with Big Impacts"
I enjoy the customizability the program allows to best suite each companies needs. Their customer support and sales team are extremely helpful and are always within reach. My one dislike would be how slow it is to get a system update; we've been on the waiting list for 4 months now with no work on when we are getting the latest version of the software. "East to use and a comprehensive database"
The ability to go into the archive and pull separate items, such as the photo itself, the text itself or a PDF of the page the article appeared on. That ability is nicely complemented by the simple download procedure. The interface sometimes takes a very long time to load, and in some cases freezes up while loading. While this may partially be a result of occasional internet issues in the islands, more often than not, it isn't. We have plans to make some portions of the archive accessible to our readers, so they can download photos of events, such as the annual Carnival, as another source of revenue. Similarly, we plan to do the same with PDF of the front page, which some readers want to purchase as keepsakes. The primary benefit at this point is the ease with hich reporters can add in-depth context to their articles. I like how user friendly the interface is and how easy it is for me to then teach others, who are completely new to the system, how to use it effectively. I can't say that I dislike anything really. The only issue I've ever had was with uploading where I would fill out a field and after upload it would be blank. However, I haven't had an issue with this lately so it may have been resolved in a previous update. We are able to provide digital assets to a wider group of users within the department and as a result we've freed up staff time for other projects. Previously, photo requests would come through email and the staff member would need to look through different folders to find an image that fit their needs. Merlin Hosted is a dependable, stable archive for our photos, graphics and text. It rarely goes down. But if it does, we get a quick response and solution from Merlin IT staff. We have nearly 22 years of valuable, sometimes historically-important, data on Merlin's servers. I would love an easy interface with our CMS for print and web. The Daily Star has prints and negatives dating back to the 1950s or older. We digitize hundreds of those images every year, add captions and metadata and store them in Merlin for safekeeping and easy access for trend stories and obits of notable people in the Tucson area. Also, we often need to quickly produce online photo galleries with historical perspective to accompany local breaking news stories. Quick search returns and rapid download make that possible. The ease to log-in. The search and download features are very intuitive. The system is not always intuitive when using. Sometimes the search does not always bring up all of the key words. The video component seems to need a bit of fleshing out. The video upload feature takes a while to upload videos. The playback feature's resolution is not the best either. The video component still has a few adjustments needed to work at capacity. The preview quality can be very low and the uploading process can take a while. Organizing our photo and video library as well as housing consent forms. The benefits are that we can organize and properly tag the photos and share with team members and external contacts. MerlinOne allows for data/image access pretty much anywhere you have an internet connection. Photographers can upload directly to the platform, using queues that tag images, etc., for ease of search, at a later time. Creatives and asset managers can make use of the more robust platform in the full application, or others such as those in marketing, or other stakeholders, can search for images themselves through the web portal. Not a whole lot to dislike. Sometimes load times for previews can take a while, but that can often depend on the bandwidth being used locally in your offices. We've solved quick an easy access to images by a large group with Merlin. The download and upload speeds can be very slow at times. Also, sometimes the search feature doesn't always work properly. This is a great way for all of our marketing staff to be able to view and download photos for any of there projects. It also eliminates them having to contact myself or my boss to find photos. "Lots of potential but resistant to change"
The ability to manage user group's permissions and viewing privileges is wonderful. The UI of the system is very 2002. It is confusing to users. MerlinOne has been responsive to our ideas/suggestions, but it would be wonderful if they also valued UI and anticipated the issues we've had/suggestions we've made. Brining different departments together using one image repository. Users have noted that their image search time has decreased. MerlinOne has provided us with a powerful, easy to use digital asset management system in a cloud solution. I deal with a lot of vendors, and MerlinOne's technical support is second to none. They carefully listen to their customers needs and try to improve their product accordingly. There's not much to dislike with this product. I am increasingly surprised how well it works in the cloud environment. MerlinOne's continuing development of their product has allowed us to make some important changes to our workflow. Implementation is so quick and painless - our team was up and running in no time. We were able to archive all our materials and pull them up in MerlinONE if we ever needed to use them again. Very intuitive and easy to use interface. Nothing really springs to mind, MerlinONE was our go-to system when we were up against a tight deadline. We eliminated all the time-consuming back and forths over email when looking for digital assets. With MerlinONE we had instant access to all our digital assets, whenever and wherever we needed them. Lack of customization of gallery design- would like to deliver content to external users in custom designed galleries. Ask a lot of questions about content delivery and galleries for external users. "MerlinOne is an integral part of our daily work flow." It works. There are so many different software programs involved between the moment a photographer makes the photo until that image appears online or in print. Merlin is one of the very few that are essentially trouble free. Anyway you can connect to the internet you can use it. Their staff is great. Support when we have need it has always been a 10. This will certainly define my age group but just like the Beatles, Rolling Stones and Led Zeppelin, it produces great results. When I started in photojournalism it took eight minutes to send a black & white photo; 31 to send color. That was assuming there wasn't any noise on the phone line and you had to start over. From anywhere in the world a staffer can upload a photo to MerlinOne and in less that a minute the desk can see the image. The MerlinOne staff is setting up server targets so that it will be a simple drag and drop to move an image from Merlin into TCMSBlox our editorial system. In addition, we use MerlinOne's Trax assignment system. "MerlinOne Digital Asset Management "
The product , the features, and the tech support. They are all excellent! I've used several other products for DAM in my career, and nothing else compares to MerlinOne. Their tech support is awesome, and they continually work with us to accommodate our needs and make customizations that we have requested. They are also very willing to implement new features that users have requested. The product is great, we have many different users with various levels of permissions and access, and it works flawlessly. I am very, very happy with MerlinOne, and frankly, there isn't anything that I can complain about at all. MerlinOne tech support has been phenomenal in their implementation of features that we have requested, and setting up different levels of access and permissions for our users. This has allowed us to provide our clients with access to our photographic database while still insuring that we can control how and where the images are being used. MerlinOne installed our Digital Asset Management System when our photographers went to all-digital in 1997. We have since become a client with their hosted solution service. The platform is easy to work with, the tech support and upgrades seamless - critical in a multiplatform publishing environment with a demanding news production schedule. We have over 100 users at our site and everyone has found it easy to work with. We have not experienced any outages, and no data has ever been lost. Folders and projects in the web version could have a better user experience. Can handle many digital formats for photographs, digital files and documents. Our Merlin DAM is both a digital lightbox for our photographers, and an archive for our photos, pages, and .pdfs of our website. Multiple departments have their own work areas. Some of the world's most distinctive photojournalism is ably supported and hosted on a Merlin DAM system. Thinking of investing in MerlinOne? Go For It! This company has been great to work with. It's a one-stop shop to store all of our photos, videos, .pdf files, creative files, etc... They are willing to assist and quick to respond. It's easy to learn and use. They listen to new ideas for their software and oftentimes implement it within their next update. They even worked with us to build a press room. I know it sounds cheesy, but I can't think of anything. We have several departments within our organization. Some departments were using other programs to store their photos, and it was confusing as to who had what and where. By going with MerlinOne, we are now able to house all of our photos and videos from across all departments in one place. In addition, they can be sorted by department. It's great to have a federated feed. Being able to look at multiple sources in one location is a real bonus. The Merlin interface is a little clunky and can be frustrating, especially for new or infrequent users. A great resource for consolidation and collaboration. It's made collaboration possible in areas where it was never possible or realistic to collaborate previously. "Happy Merlin customers for the last 19 years." I'm the Director of Photography at the Sarasota Herald-Tribune. We have used Merlin as our picture desk since 1996. Since then, we have added our text archive and we save PDFs of our published pages. We plan to start archiving video, but have not started yet. At some point (sorry, I don't remember what year) several other New York Times Regional Newspapers began using Merlin Hosted as their archive as well. I believe the Gainesville Sun and Ocala Star Banner also use Merlin's Trax system for photo requests and news budgeting, as it is integrated into the Merlin system. In 2013, Halifax Media Group (our new owners) began using Merlin for the group-wide archive. We have had very few problems or downtime with our Merlin archive. Customer support is very responsive and issues are resolved very quickly. Not much. I've asked them to develop an iPhone app, but haven't seen one yet. Take a serious look at Merlin. They have both a web client and a desktop client. Some users prefer one over the other. Our entire archive is conveniently located within one system. Stories, photos, pages (and eventually video) - all in one place. While I was not involved in any decision-making at the corporate level, obviously, our corporate leaders (both at the New York Times Regional Media Group and Halifax Media Group) saw value in the Merlin Hosted solution. "Fantastic product with support to match!" The new MerlinOne interface is cleaner and more user-friendly than the previous iteration. We delayed launching our use of Merlin until we were able to launch with the new UI. We love the ability and simplicity of editing metadata for multiple items post-upload. The customer service Merlin provides is outstanding. Not only were they collaborative in helping us implement their system, they will periodically check in to make sure we are satisfied and not encountering any problems. There have been a couple of times when we had local server issues unrelated to Merlin. Merlin contacted us when they detected an outage to check up and offer assistance. The only major nitpick is the one recipient limit when emailing a download link. I understand the ability to send a download link to multiple recipients is coming with the next upgrade any day now. The staff at MerlinOne is a great resource as they consider your needs and will offer suggestions for the best ways to utilize their systems, even if it leads to some additional fine tuning on their part. As the national office of our organization, we were looking to provide an enterprise solution for storing and sharing assets between us and our 61 chapters (chapters no longer have to worry about purchasing additional local storage for their assets). We’re starting to use Merlin as a vehicle for collecting assets from our chapters for possible use in our national campaigns. "MerlinOne is all we at Providence College had hoped it would be, and more. " MerlinOne features an intuitive, user-friendly interface -- which the company continues to enhance -- and a robust archiving system that has handled all our needs flawlessly. The in-person and real-time support have been exceptional, as everybody at MerlinOne seems invested in Providence College's success in using this system. We have no complaints at all. MerlinOne personnel check with us frequently to make sure we are satisfied. Providence College had a substantial image archive, mostly stored on discs and largely inaccessible to collaborators outside the college's central communications office. By creating a shareable, online digital database, we have developed systems for much more robust usage of important imagery, while also creating mechanisms for quick upload and immediate use of images in time-critical situations. "Merlin is a tremendous asset for our newsroom, our community and our archives"
Merlin provides fast searches. The hosted solution allows our staff to access valuable information from any mobile device in the field. The metadata fields allows data mining for a wide range of projects. The story lists and file sharing capabilities are very popular features. The service and support from Merlin has been excellent. We have content created by various departments outside our content management system. An easier way add that content such as a "create new document" function under file would be very helpful. I would highly recommend MerlinOne. The support has been excellent. The software is very easy to use both as an administrator and as a web client. The metadata can be as simple or as detailed as your organization requires. Merlin makes it very easy for us to provide content to vendors such as NewsBank, LexisNexis and others. We also have a cooperative relationship with our local public libraries. Merlin makes it very easy to share information with them. We are able to build databases and photo galleries quickly for our online department using Merlin. Our reporters are able to data mine stories for projects over the past 25 years. They can access information in Merlin's hosted system from any location on their mobile devices. Our editors use the story lists for a wide range of projects. It allows them to quickly track trends and bylines in our newspaper. Merlin's hosted solution is exceptionally reliable and well supported. Its software interface is intuitive. Its database allows us quickly to retrieve the content we need, when we need it. Merlin's web and client software does not correctly display Unicode characters from beyond the basic ASCII character set. Our solution is to convert these characters to ASCII equivalents, prior to Merlin's import. Merlin was slow to develop code to import the ObjectXML archive output from CCI Europe, leading provider of newspaper publishing systems; that is now changing and I hope soon to test the capability. For more than 10 years my newspaper has used MerlinOne's software as an archive for photos, published story texts and PDFs of published pages. The photo management tools are excellent. So are the tools to find what we're looking for in Merlin's database. Because Merlin's roots are in service to the newspaper industry, with its daily deadline pressure, Merlin offers quick, skillful support when problems arise. Merlin's hosted solution is highly recommended, because it means the entire Merlin system is managed by technicians who know it well. Users find Merlin's software to be intuitive; training requirements are minimal. "MerlinOne is a lifesaver for storing, tracking, and sharing our digital assets across the globe"
MerlinOne is intuitive and user friendly but very robust. Metadata fields can be tailored, and the search mechanism is fast and reliable. Our organization has a global outreach, which includes content in various languages and alphabets. We are working with MerlinOne support to ensure that we can capture and search data in multiple languages. Assess what your needs are and do your homework. You will find there are other options out there, but few can grow with you like MerlinOne has for us. We are a nonprofit "founder" organization that has accumulated assets for decades. Some were digital; many were not. MerlinOne gave us the tools to archive tons of records, documents, audio/video content, photos, etc. We now have easy and immediate access to 90-plus percent of our archive content and 100 percent of our daily uploads. The sheer ability to host all of the assets in one place for the organization. Too technical to use by everyone. Too many clicks to get to end result. We have placed a comprehensive licensing procedure for most of our digital assets. "Highly Recommended for Digital Photo Management"
MerlinOne is an indispensable tool for managing our massive, ever-growing photo collection, and offers incredibly powerful search capabilities. The web interface can be used for internal workflow as well as handle photo requests from our external customers. Their customer service/support team is outstanding and highly responsive. It takes a little time to help first-time users learn how to navigate the web interface. Highly recommend this company and system. The hosted service is a great option for secure storage with plenty of space. MerlinOne outperforms competitors in its ability to store and manage RAW files. Search speed is great, even with millions of pictures. Ability to save "projects" (collections of photos on the same subject) is very helpful. Client app as well as browser access are both powerful. And we tie-in Merlin's assignment software (Trax) to the archive. Trax provides quick and easy access to photos from the assignment interface. It is a great photo archive - but the database can hold other files. Consider using Merlin for sound and video files (which we do not use it for.) Ability to access the archive remotely is very helpful for staff working from home. We are a newspaper and need our archived photos on hand at all times. Merlin does this. Thank you for the feedback. I would suggest contacting customer support to make sure you are on the latest version of MX. Having one place to house all of our photos to share internally and with outside vendors and agencies. This ensures that they are using the most recent photos that we have available. I'm really surprised to read this review. Merlin provides a few different ways to upload content into the DAM. Merlin ingest is really fast, during the 2018 Olympics in February one of our customers uploaded over a million assets in two weeks with no delays or backlogs. Our updates are highly responsive to customer requests, and if a site has a particularly important feature they need, we have expedited that feature to them, ahead of the formal release, many times. If you are open to discussing your experience please contact 617-328-6645 and ask for the Customer Success Manager. We've been partnered with MerlinOne for over 10 years. They're very proactive with release notes and system updates. They provide great support and offer consistent training. We have no complaints. MerlinOne is a great system. We store large volumes of historical data that needs to be easily accessible to internal and external users. MerlinOne has given us the ability to share our archives with multiple layers of customers. 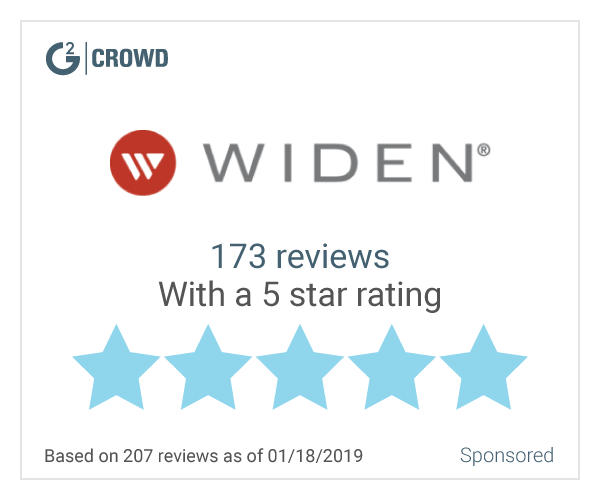 "Excellent product backed by terrific support and effort to keep improving the product"
Solid, stable, fast access to our indexed digital text and images via simple web browser. Awaiting a better mobil phone app. The current access from a smartphone or tablet no longer allows easy access to text. Talk to the users and it's pretty much the best one out there. Storage and frequent retrieval of our digital assets. "We have had MerlinOne as our archiving software for a number of years and I'm very satisifed with it"
It's user-friendly and meets all our needs. There really are no features that I dislike. Trying to get online version of our paper archived. Not yet fully achieved. * We monitor all MerlinOne reviews to prevent fraudulent reviews and keep review quality high. We do not post reviews by company employees or direct competitors. Validated reviews require the user to submit a screenshot of the product containing their user ID, in order to verify a user is an actual user of the product. Hi there! Are you looking to implement a solution like MerlinOne?